Good Morning and happy Friday! 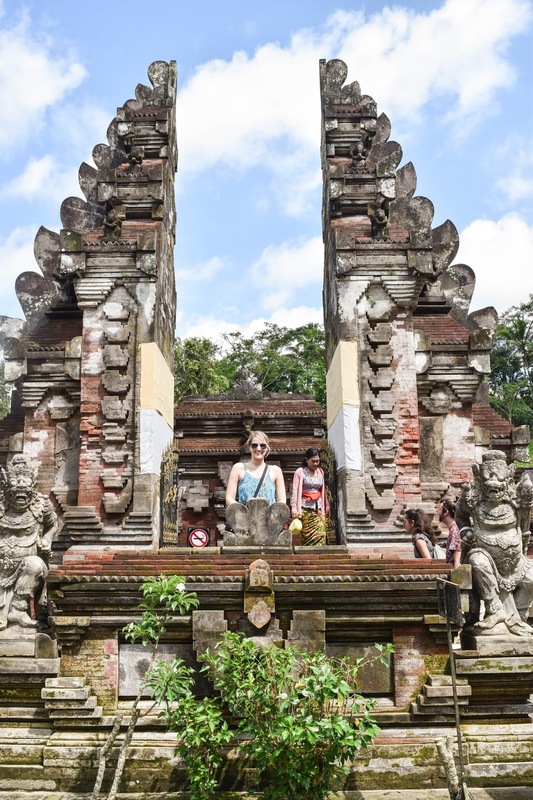 Today I am recapping the first half of our trip to Bali so settle in with a cup of coffee and get ready for a LOT of pictures. It took us 36 hours to get there, including 29 hours of flying time. Needless to say, if it took us THAT long to get there, it better have been worth it... and it WAS! In many ways Bali reminded me of Hawaii. It has volcanoes, the volcanic black soil, beaches, surfers, and lush green vegetation everywhere. That being said, it is very different from Hawaii in many ways too, and it was definitely worth the extra hours of getting there to experience how unique this island is. 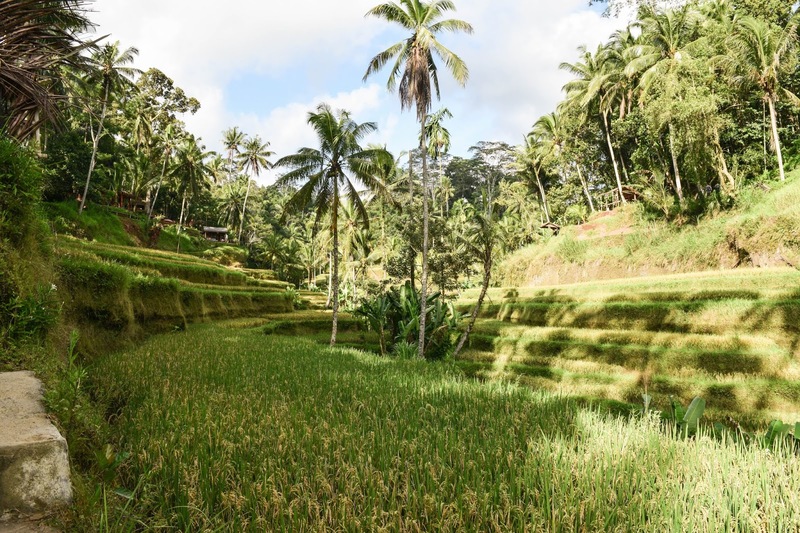 Our first stop in Bali was in the town of Ubud. 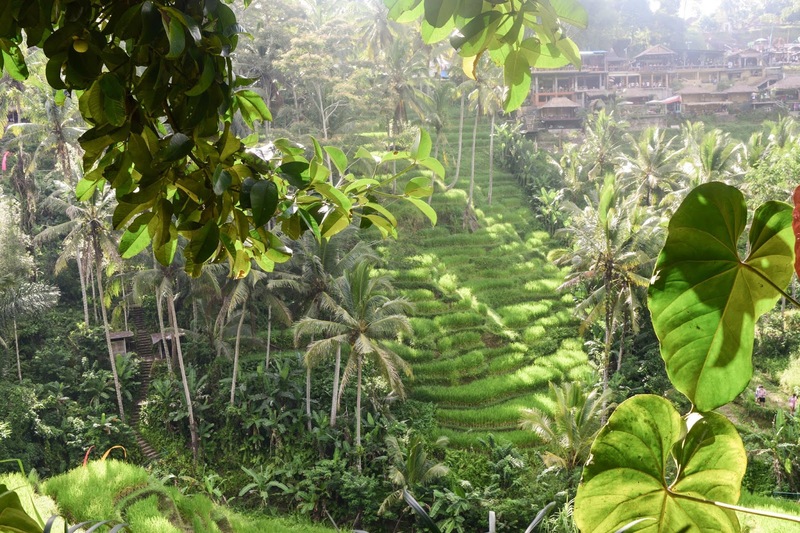 Ubud is a town in the center of the island and feels like it is in a rainforest. The AirB&B we stayed in was absolutely stunning, and our only complaint was that we didn't get to stay there longer. 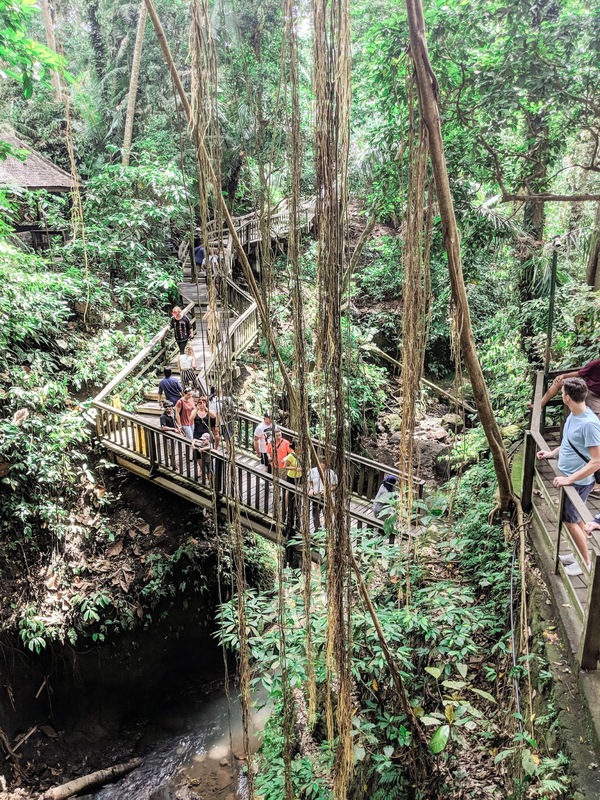 For anyone considering traveling to Bali I highly recommend this place. We had our own porch where we watched the sunrise every morning, cup of coffee in hand. 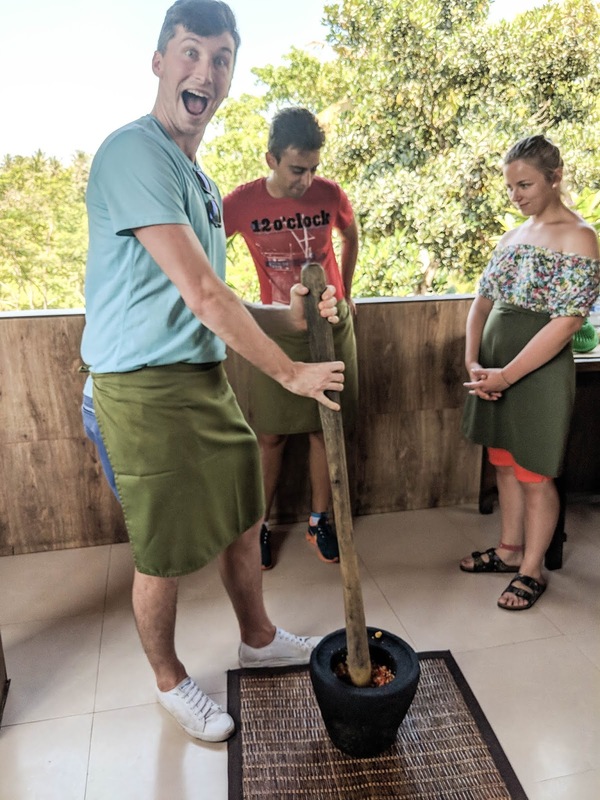 On our first full day, we woke up and went to a cooking class to learn how to cook a traditional Balinese meal. Dev using the "Balinese Blender" aka a giant mortar and pestle. 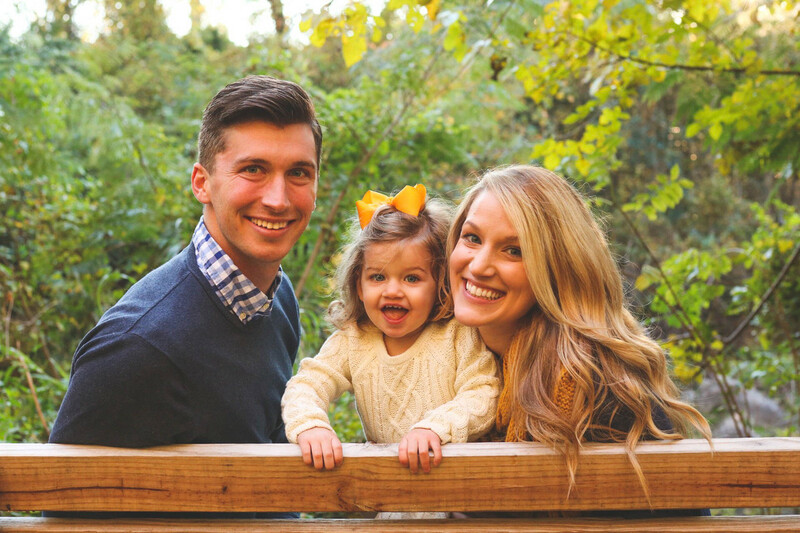 Dev found this class through a blog he follows and we were very pleased with it. We learned how to cook 8 different recipes and were given a recipe book to take home with us. 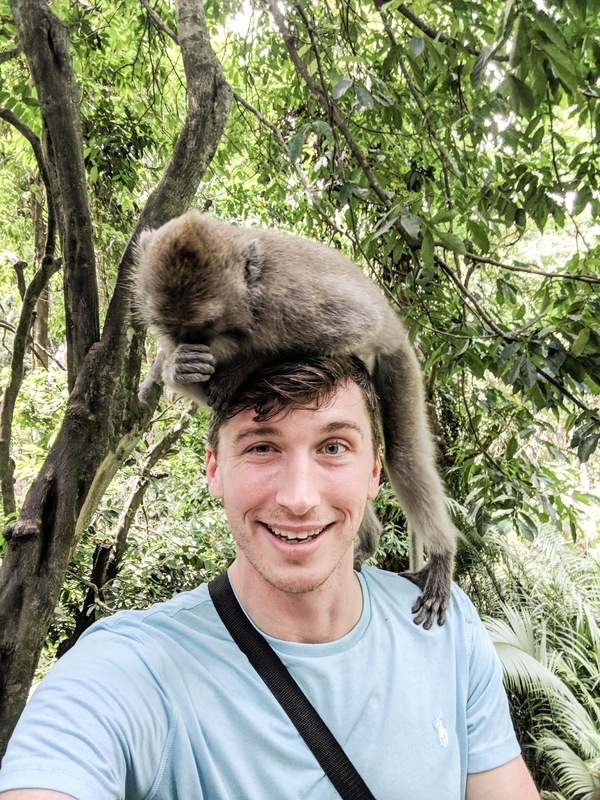 After our class we walked around the Sacred Monkey Forest and got to see these little cuties in action. This was one of my favorite parts of the whole trip. 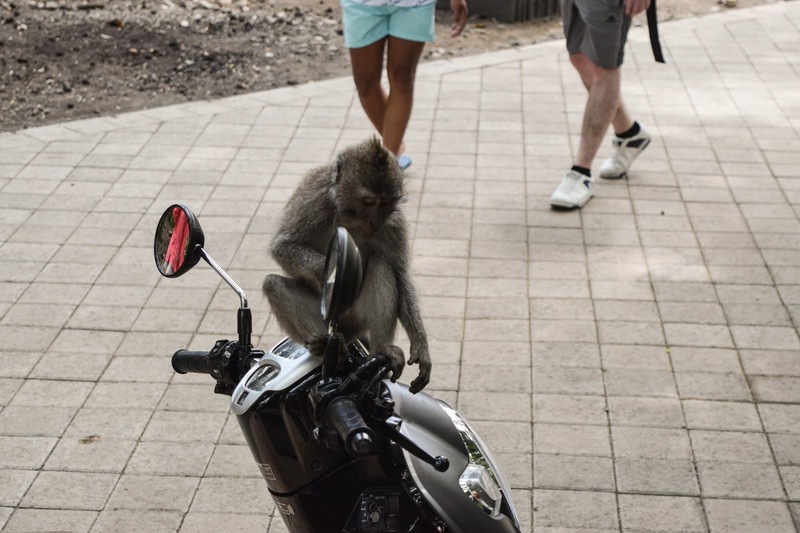 This little guy looked like he was about ready to steal someone's motorbike. 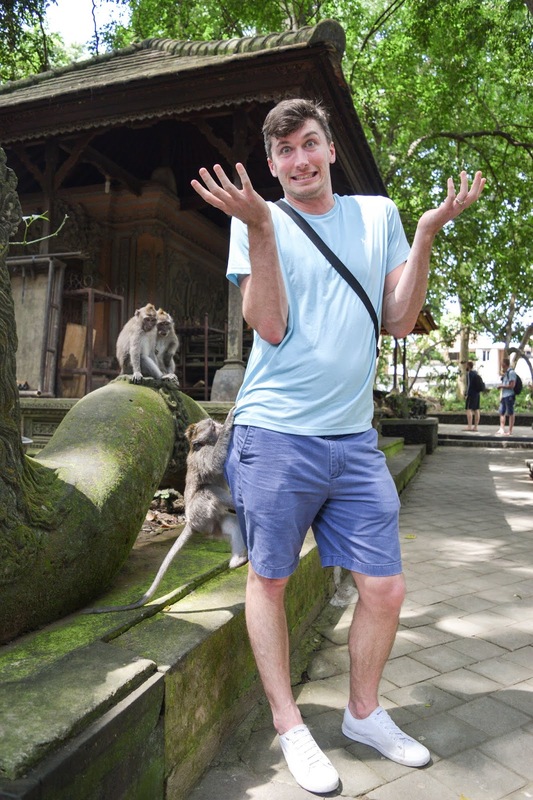 We had been told the monkeys were "aggressive" and we needed to be careful around them. We only experienced monkeys that were either completely indifferent to us, or were curious but still sweet. 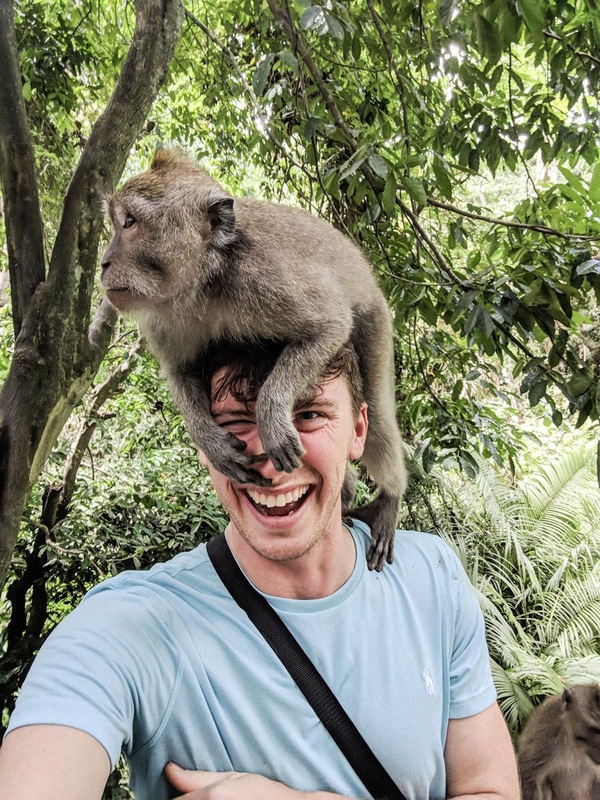 In the above pictures one monkey was checking out a water bottle Devin had in his back pocket, and then another one jumped on his head and was playing with him. 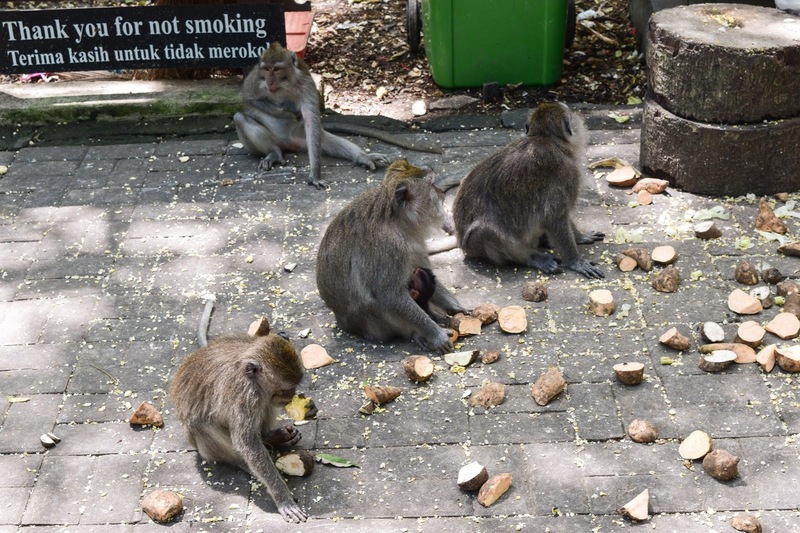 We had heard horror stories about monkeys knocking people over or stealing from people's bags, but this was not our experience at all. 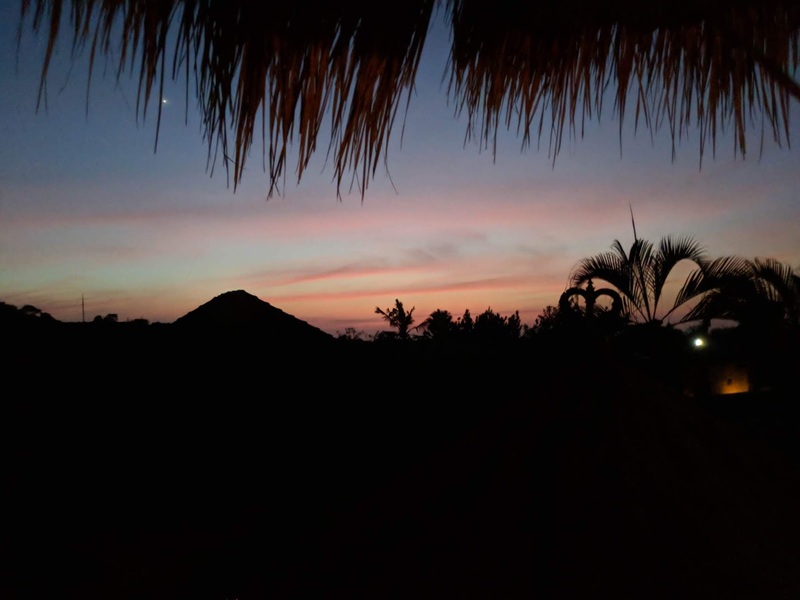 That night we walked around the town of Ubud and stopped into a little warung (diner) for dinner. More traditional Balinese food for us! This place was delicious and inexpensive, a win/win! The next morning we woke up ready for a busy day of exploring the island. 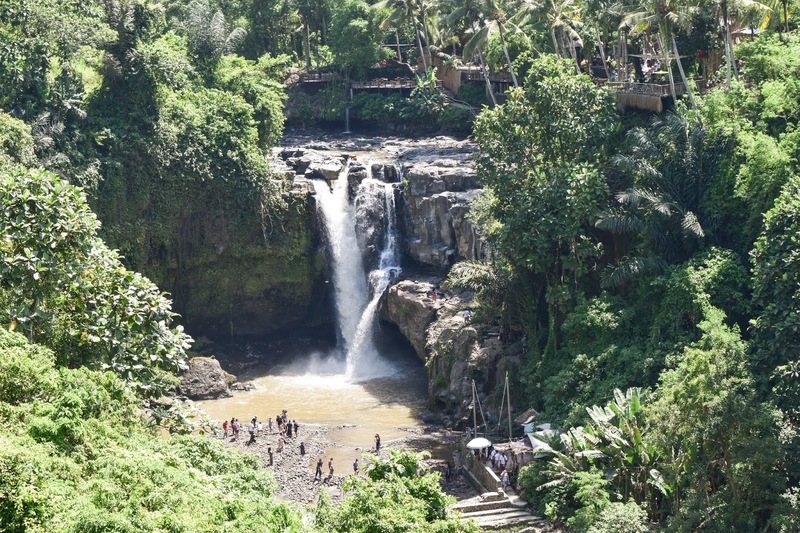 We did some shopping, hiked to a waterfall, visited a coffee plantation, visited Tirta Empul Temple and then were off to explore the Tegalallang Rice Terraces. Needless to say we slept VERY well that night! 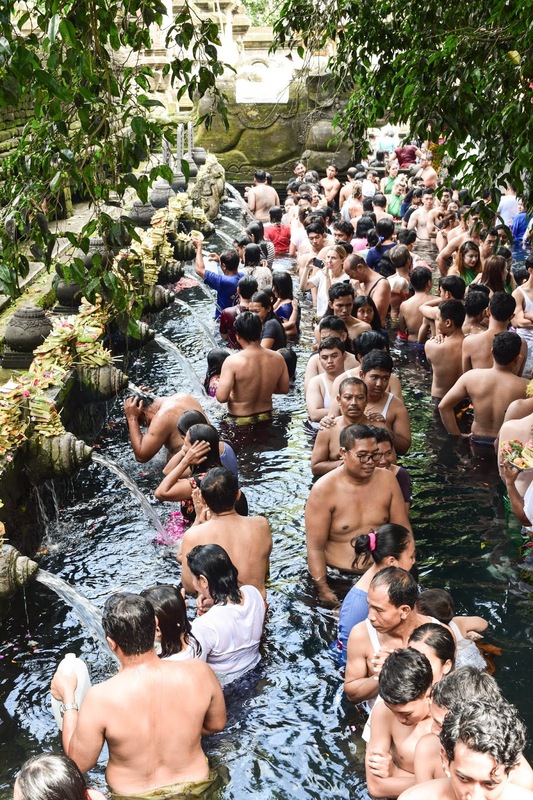 People cleansing in the holy waters at Tirta Empul Temple. 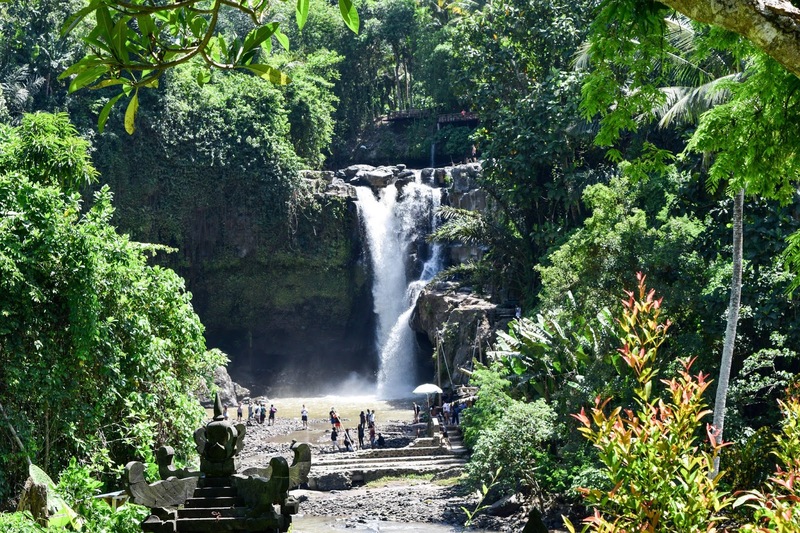 According to our guide the local people believe a Hindu god created the spring that feeds into these fountains, infusing the water with magical powers as he did. Each of these fountains represents something different. One fountain is for health, one for wisdom, etc. You start at the fountain on the left, then stand underneath it while the waters cleanse you. Then, move down to the next fountain. You can see there are lots of little baskets of flowers on top of the statues. These are offerings from the people who have come to be blessed. You can also see a few people who have brought jugs with them, they are taking some of the holy water home with them. 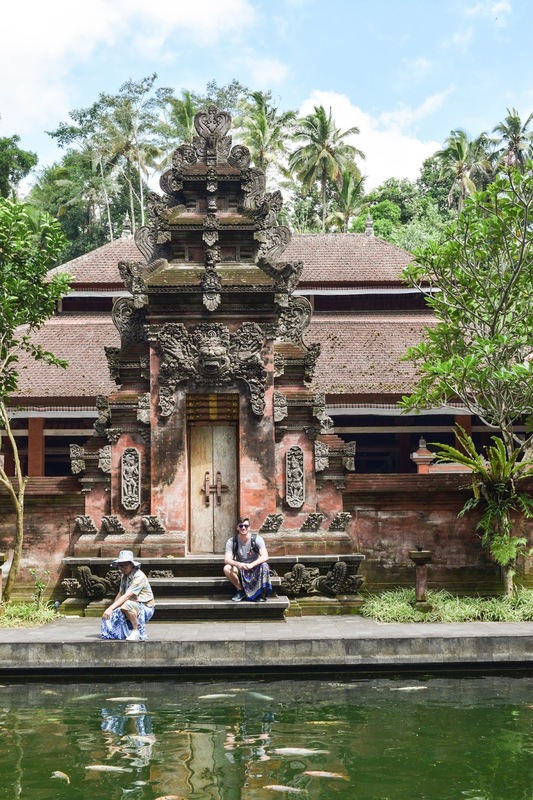 This was a fascinating look into a religion that is different from ours, and we greatly appreciated the opportunity to observe people celebrating something so sacred to them. 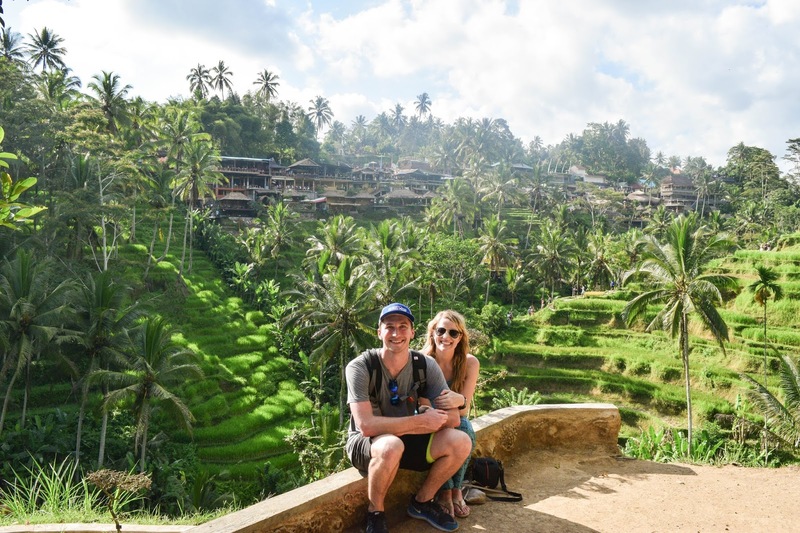 After Tirta Empul we made our way to the Tegalallang Rice Terraces. As I said earlier, this area is very reminiscent of a tropical rainforest due to the amount of rain it gets annually. We were also lucky to be here during the rainy season (and EXTRA lucky that it actually didn't rain while we were there, despite it being "rainy" season!). These pictures really do not do this place justice. 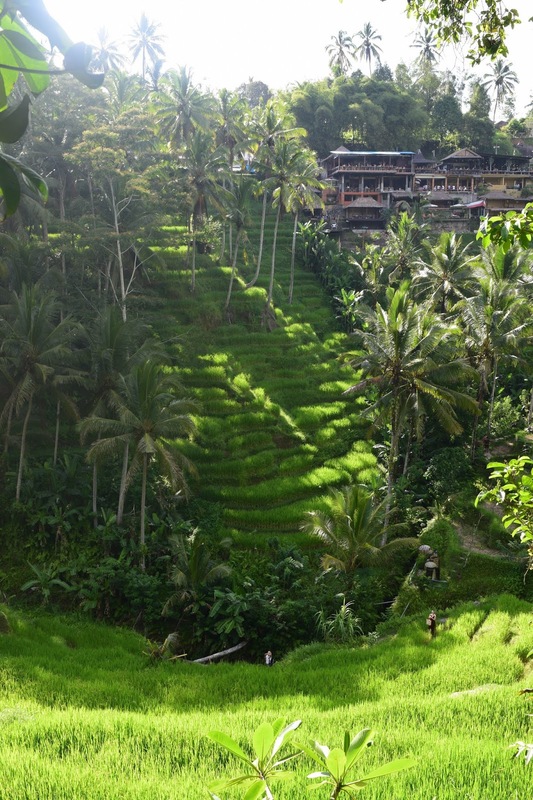 The shade of green in these rice terraces was unlike anything I had ever seen before in nature. When the sunlight bounced off the plants it was such a bright green it almost appeared neon. This day was incredible but we were exhausted at the end. We were so tired we were debating whether we should walk the 5 minutes to dinner or just go straight to bed without eating. We ended up walking to the first restaurant we could find and ended up at Element. 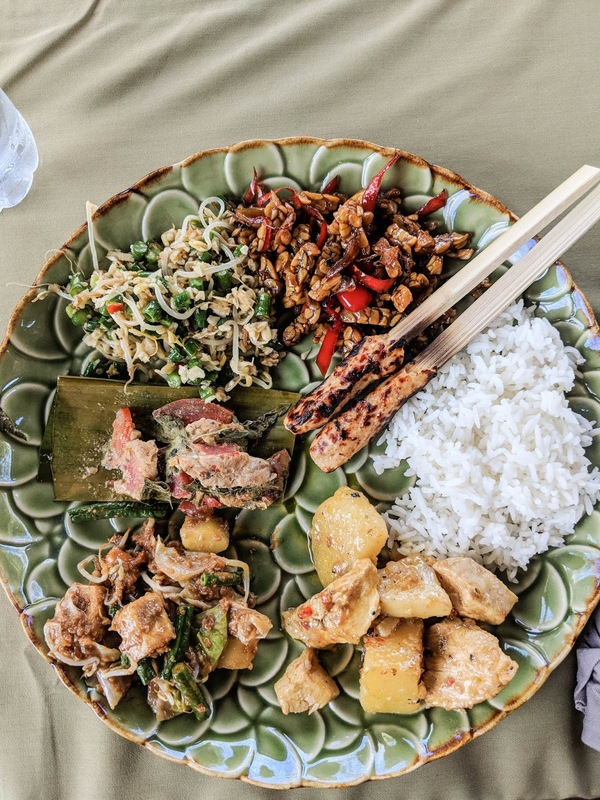 It was delicious and we would definitely recommend to anyone visiting Ubud. 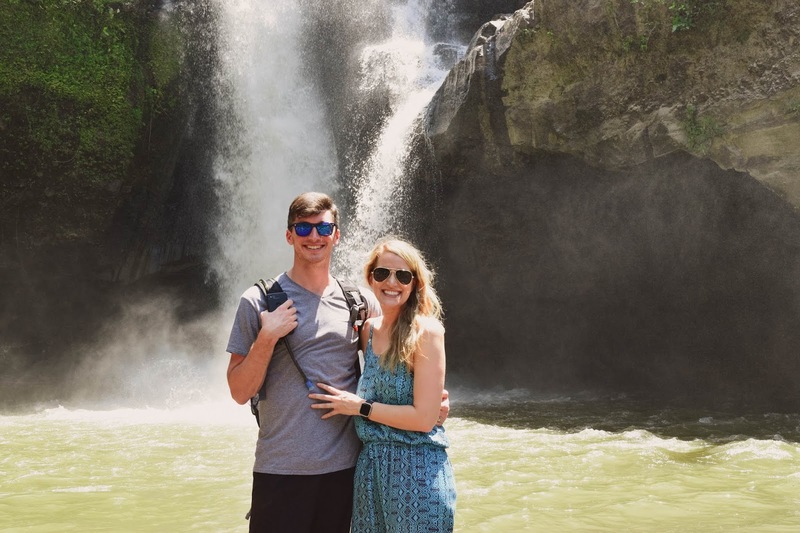 Thanks for reading about our first two days in Bali, check back next week for more! Have a great weekend! Oh, wow. It look so beautiful there. This must be the vacation of a lifetime. 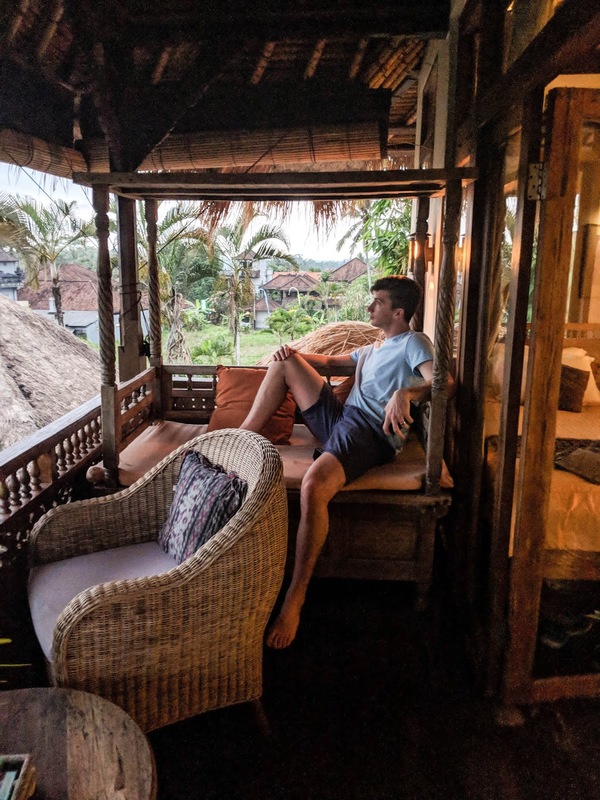 I really love going places like Bali that are really different from the US. 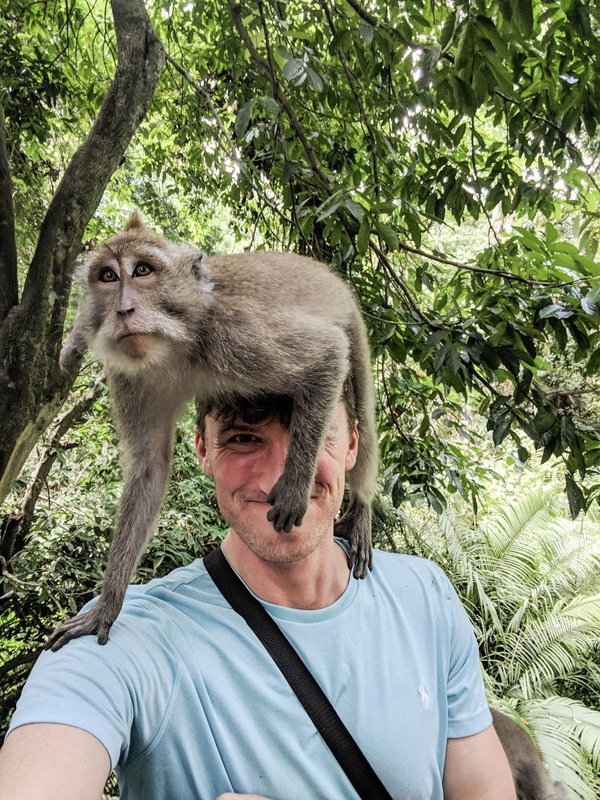 The Monkey pictures are awesome. Love this post, it looks like the most amazing trip! Could you post more information on how you found flights here or if you found any good deals? I feel like that's the hardest part of international travel! Yes, I'd be happy to! We used our credit card points to book our flights. We did a few posts about them awhile back. Look on the sidebar for the label "points". I'll talk about it a little bit more in my next post about our trip!